It's late September and the greens are still going strong. 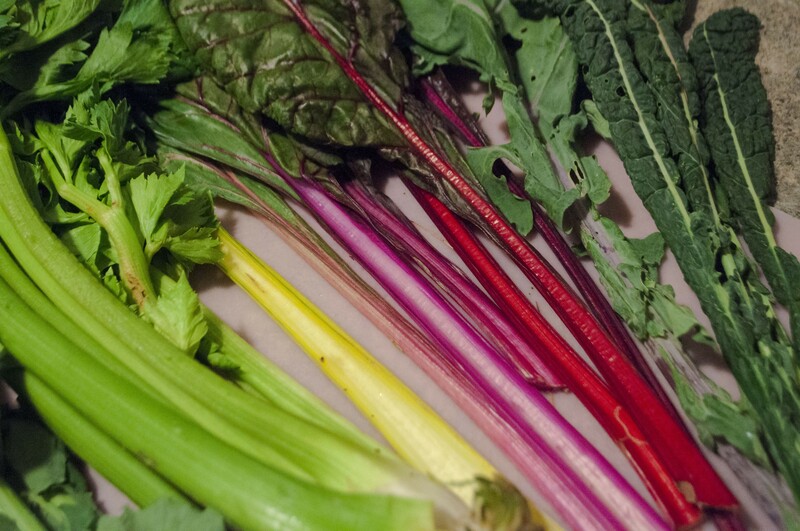 You've already blanched and frozen all that you intend to save for winter, but the garden's still cranking out chard, kale, collards and whatever else at a cold-weather-defying rate. During a mild year, some kales will winter over and grow through the following spring if you let them. And at market, these hardy survivors will chug along well into root-vegetable season and beyond. As summer gives way to fall, these greens are also one of the last doses of fresh chlorophyll we'll get, and I'm happy to embrace both the tyranny of leaves and cooler-weather cooking. Let's bust out the cream, shall we? Adapted from an Alice Waters classic, this rich, creamy gratin will take care of whatever greens the garden wants to throw at you, and warm your belly on a cold autumn's night. Even better, it works fine with whatever ratty old past-prime leafy things you've got kicking around your fridge. Last night, I made it with a mix of wilty rainbow chard, kale and gummy celery, but you could add radish or turnip greens, spinach, leafy herbs (basil, sorrel, lovage, in moderation) or even some sad-sack arugula. Get crazy! All dead greens love cream. Salt and heat water to boil. Stem and cut greens to size, separating the stems from the leaves. When water boils, cook stems for 2-3 minutes, then add the rest of the greens and cook another 3-4 minutes until everything is quite soft but not falling apart. Drain the greens as soon as they're done. In a large frying pan, melt butter over medium heat. Once it's melted but not yet browning, spoon 2 tablespoons of the butter into the bread crumbs, mix thoroughly until the crumbs are evenly coated, and set aside. Add garlic and onions to the remaining butter in the pan and sauté, stirring often, until the onions are clear, 3-5 minutes. Add the greens and cook another 5 minutes. Dust with flour, turning and mixing until the flour is distributed among the greens. Add half-and-half or milk and cook until it thickens slightly, forming a creamy sauce. Butter a large, shallow baking dish, add the creamed greens mixture. 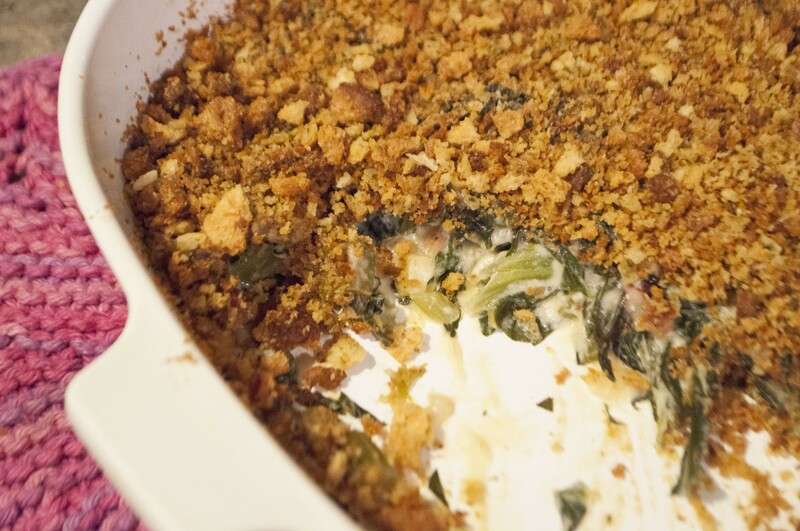 Sprinkle the breadcrumbs on top and bake on the center rack of the oven for 30 minutes or until bubbling. *For a thicker, casserole-style dish, use half-and-half and use 1 1/4 cups instead of 1 3/4 cups. Using milk, and using more of it, thins the recipe to a more classic, Provençal-style gratin.